I usually park my E-Bike on the side of the sidewalk out of pedestrians way or at bicycle stands and lock it there with my Kryptonite Cable Lock, and lock the steering and arm the built in Gorilla Motorcycle Alarm. As of August 8th 2009 I will be a full time employee of Mobility Unlimited. Hopefully I will be able to help some of the local members out while working in the store Monday through Saturday. I have borrowed from Mobility Unlimited 4 12V 9A SLA batteries and glued them together to form a 48V 9A SLA battery pack. I then wired them together in series. I installed two 10A diodes wired in parallel to create a 20A diode pack to allow voltage out of the pack, but not allow the other battery pack to discharge into this battery pack. I then wired in a charge port that bypassed the diodes to allow me to charge this battery pack. I put this pack in my seat bucket and connect the power output cable into the E-Bikes charge port on the front of the seat bucket. This parallels both the main 48V 20A SLA AGM pack and the 48V 9A SLA pack to create a 48V 29A SLA battery pack electrically. I have noticed in the last week of riding with this pack installed that my range has increased significantly. 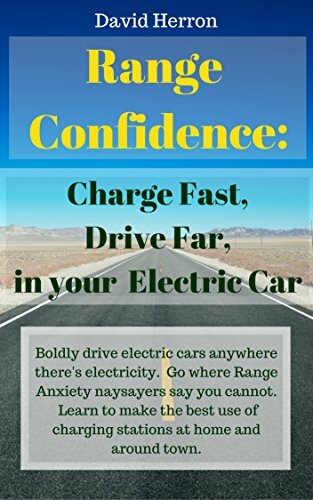 Also when I accelerate from a stop or climb a steep hill, the voltage drop that usually occurs is almost non existent. My E-Bikes battery meter has a blue, yellow and red zone. Before the added battery pack was installed when I accelerate (or climb hills) the battery meter would dip down from the blue high charge area into the yellow warning area. After the extra battery pack is installed when I accelerate (or climb hills) the battery meter barely moves within the blue zone and the E-Bike accelerates faster from a stop and climbs the hills faster. I charge both battery packs completely separately with two separate Luyuan 48V 3A SLA Smart Chargers. So so far the battery pack has exceeded my expectations in performance and range added to my E-Bike. Well I rode my Condor from my house today at York Mills and Victoria Park area to 1000 Finch Avenue West. I then rode from there to Yonge Street and went southbound to Gerrard Street. Went East on Gerrard Street to Mobility Unlimited at 1007 Gerrard Street East to start work. I would not have been able to do this distance with only my 48V 20A SLA AGM pack in this cooler temperature. I even had some battery power left. But I did notice the diodes that I had wrapped in electrical tape got hot enough to melt the electrical tape. Should I add another diode in parallel to make a 30A diode pack or is the diodes running a little warm normal? Sounds like I just got the same scooter that you have, or had at the time of this post. Do you know where I can find any manuals for it? My scooter was originally bought at Mobility Unlimited as well. I am on Vancouver Island in BC. It must have traveled a long way to get to me. I'm sure it probably needs some TLC, but I'm afraid to without having reference material onhand.